Palakkad, the gateway of Kerala is a dream land having all the required attraction points that makes it the best tourist spot. Visit the old granite fort known as Palakkad fort built by Hyder Ali or enjoy the leisure walk at the Malampuzha gardens, Palakkad offers something for everybody. For fulfilling your religious sentiments indulge in the admiration of the wood carvings at the Thiruvalathoor temple. If interested in nature and some adventure you can do the 15 Km trek from Palakkad Dhoni hills inside the reserve forest area. The land of paddy fields, Palakkad is one of the most beautiful regions in the Western Ghats. The city owes its significance to its historical background. It is surrounded by mountains creating a clean, soothing and peaceful environment. It also has many small rivers and rich flora and fauna. 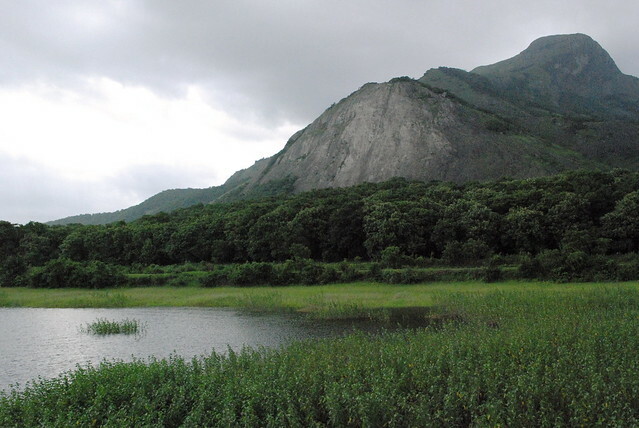 Palakkad is famous for many of the dams built in the district especially Malampuzha dam. Palakkad is also known as the 'Rice bowl of Kerala' and some the varieties grown here are famous all over South India. The city has many attractions such as Tipu Sultan fort also known as Palakkad fort which not only gives a sense of history and culture but a nice place to hang out too. Other attractions such as Prambikulam Tiger Reserve, Neillyampathy Hills, Seethargundu viewpoint etc. All such places offer a picnic spot. The city is very rich in dams too. Some of them are Malamphuza dam, Pothundi Dam, Siruvani reservoir etc., the weather around these dams offers a chill vibe and perfect ambience for a walk in nature. You can also enjoy a cable car and have a panoramic view of the city. Trekkers can trek to Dhoni, a few kilometres away from Palakkad which also leads to waterfalls. Hence, if you are someone who is looking for peaceful and light weather somewhere in the South, this city is a must visit for you. The distance of Palakkad from Coimbatore airport is only 62 Kilometers.